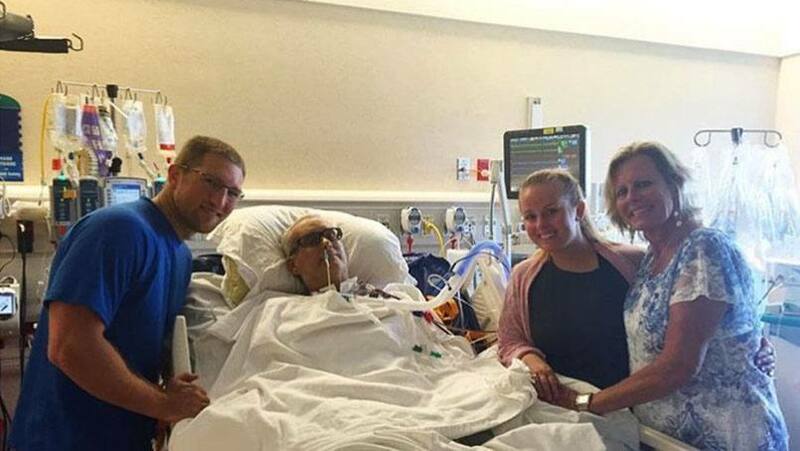 Brooke Skahill's wedding was a month away when her father, Scott Falline, was hospitalized with heart failure at Mayo Clinic's Florida campus. He needed a transplant, and he wouldn't make it out of intensive care in time to walk his daughter down the aisle. "It was devastating," Brooke tells us. "My wedding was a day he and I had always dreamed about. The first dance, him walking me down the aisle." She couldn't imagine her wedding without him, so Brooke told her dad she'd bring the ceremony to him. Scott, however, was adamant that his only child — "the apple of his eye" — not get married in a hospital. Though she says "the wedding I'd always dreamed of was a wedding with him there," Brooke honored his wishes and moved ahead with the wedding plans in Atlanta, Georgia. "We thought we'd Facetime during the wedding," Brooke says. Brooke's mother, Marsha, asked Mayo's IT Department if they could help ensure a reliable connection, but Brooke wasn't optimistic. "It's a huge hospital, and I didn't think they were going to care about figuring this out." But Brooke didn't know Ron Porter. At least not yet. After Ron, a media systems engineer at Mayo Clinic, learned about Marsha's request, he quickly became an important member of Brooke's wedding support crew. "My job is to fix things," Ron tells us, and in his mind, "this was just another problem to be solved." Ron came up with two possible solutions. Both started with a mobile videoconferencing cart in Scott's room. Option one involved Brooke and her family streaming the wedding to Scott via cell phone. But Ron tells us that didn't seem like the "right thing" to do. "I didn't want to ask the bride or her family to walk around with a phone during the wedding," he tells us. The better option, Ron believed, would be to send someone from Mayo's IT Department to Atlanta to run the show. Ron volunteered to be that someone, and the weekend before the wedding, he made the six-hour drive to Atlanta to take the equipment on a test run. Everything worked like a charm, and Ron made plans to return the following weekend. But back in Jacksonville, Scott had taken a turn for the worse. He'd had a mechanical pump placed in his heart and was heavily sedated after the surgery. Brooke worried that if her dad didn't wake up, Mayo might choose to not broadcast the wedding. But on her big day, sure enough, Ron was in Atlanta to beam the beaming bride into Scott's room, where one of his favorite nurses, Becky Lopez-Rodriguez, was at his side. "It meant everything to me that Mayo would do that, and that Ron would give up time with his family to be with ours," Brooke says. "It gave me such peace in my heart to know that even though my dad wasn't awake, maybe he could hear the wedding." A week later, Brooke shared her wedding pictures and videos with her father. "It was honestly one of the best days of my life," she says. "I could see the hurt in his eyes, but also the pride." Sadly, Scott passed away on June 13, 2016. He was surrounded by loved ones and supported by a care team that had come to care for him deeply. Those feelings, Brooke says, were mutual. "It meant so much to my dad to know everything that Mayo did for him," she tells us. "You go to a hospital and expect to have good care. But you don't expect to have a family, and that's what we had at Mayo. 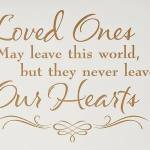 They truly, truly cared." You can show us you care by leaving a comment below. Then, you can use the social media tools to share this story with others. Never let facts get in the way of a good story. Ron Porter is in Media Support Services, not IT. As Brooke’s wedding planner, I had the privilege of working with Ron and the Falline family on this special effort. 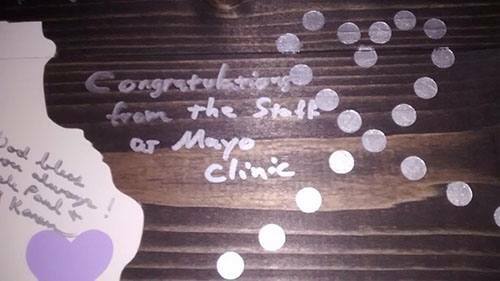 Ron’s efforts went above and beyond the call of duty and if he is any indication of the quality of Mayo employees, then your group is doing something right! I am forever grateful for The Mayo Clinic’s help and for preserving this special day for father and daughter. Hats off to Ron Porter! The staff at Mayo Clinic is the best, its why its number one in the country.